Potatoes, Slopes, Friendly Neighbors. The city of Boise has a lot to offer! If you enjoy mild weather, unique culture, and the great outdoors all at price far more affordable than much of the US, consider moving to Boise. Boise is one of the fastest growing cities in the Pacific Northwest. It’s one of those rare areas that offer big-city amenities for a small town price. Things move a little differently in The City of Trees and relocating here from another city can feel like a daunting task. Fortunately, we’re here to walk you through the whole process. 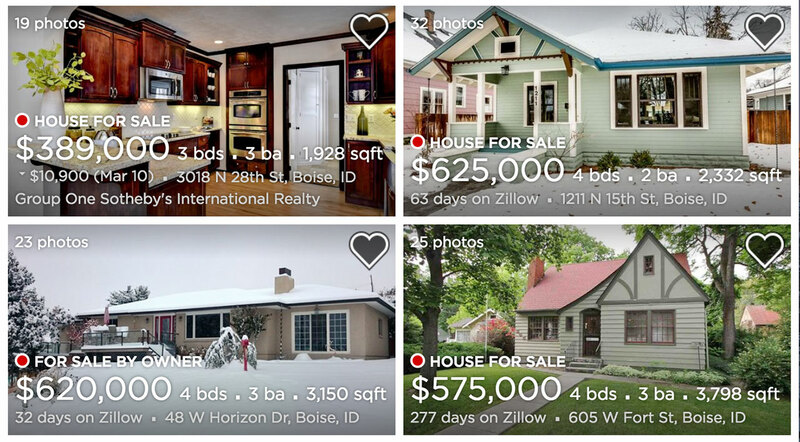 Which Boise neighborhoods are most affordable? Which neighborhood in Boise is the best fit for me? How long is the commute in Boise? How’s the walkability, bikeability, and public transportation in Boise? Where can I find apartments and houses in Boise? How much will it cost to move to Boise? What’s fun to do in Boise? And if you’re looking for more info on moving to Boise, check out our Boise move cost guide. Even though it’s become fairly popular recently, Boise’s population is relatively small. The city is currently the 99th most populous city in the nation with a population of 223,154. The average rent as of 2018 for a 1 bedroom apartment in Boise is $875 per month which has it ranking as the 70th most expensive city in the country. Boise is an very affordable city with a cost of living index significantly lower than the national average. Before we dive into the details, check out the video below to get a more visual idea of what Boise has to offer. As you can see from the map below, Boise can pretty easily be divided into three general areas. But within the obvious north, east, and west regions, there are a few places where neighborhood lines break down further. The North End is where you’ll find the trendier area of the city, featuring beautiful older homes and interesting restaurants. 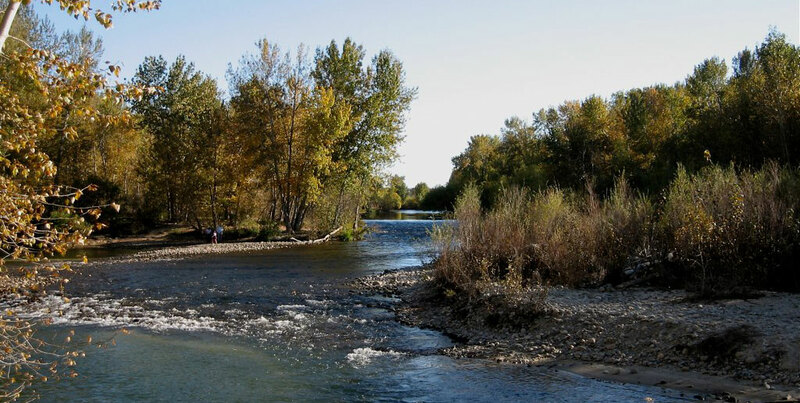 The East End is nestled in the Foothills and offers both proximities to many of the city’s natural attractions as well as some of the most expensive, high-end homes in Boise. The Boise Bench is an elevated area located south of Downtown and is one of the most popular up-and-coming (but still relatively affordable) areas in the city. And the West End offers reasonably priced suburbs that provide residents easy access to Boise’s walking and biking trails. Beyond a neighborhood’s price and aesthetic, you’ll also want to consider the people living near you. Everyone wants to fit in with their community and Esri’s Zip Tapestry Tool makes it incredibly easy to gauge where you belong. For instance, if you were to plug in the zip code for Boise Heights (83702), it’ll give you a full breakdown of the area’s main demographic subsections. It’s extremely useful! Now that you like your neighbors, let’s make sure you can get to work on time. Living in Boise, you probably want to drive most of the time. Despite the fact Boise has only one freeway, (yes, one) commute times are lower than the national average. The freeway has plenty of exits which prevent congestion during rush hour. Compared to another car-dependent city like Los Angeles, Boise is a driver’s dream. On top of that, Boise consistently ranks high among Allstate’s Safest Drivers in the Country, so that’s a plus! Beyond driving, there aren’t too many good alternatives for getting around Boise. Boise is mediocre for walking, average for biking, and downright abysmal when it comes to public transportation. Having a walk score of 40 isn’t awful, but it’s certainly not great. Most neighborhoods, Downtown excluded, are too far away from places to be easily accessible by foot, a problem that’s magnified by the lack of a good public transit system. The bus system here is extremely lacking to the point where walkscore.com didn’t even deem it worthy of a Transit Score. With a very limited number of stops and operating hours that only run from 5:15 a.m. to 6:45 p.m., this really isn’t a very useful option. The only win Boise really has here is its 63 bike score. Once again, however, bike commuting is only going to be reasonable for people living closer to Downtown. Another thing to consider when picking a place to live is the unavoidable subject of crime. No matter where you live, there’s going to be some sort of crime, but it’s important to have some perspective when it comes to deciding exactly what the statistics you hear mean. Boise’s crime score is a solid 25 out of 100 according to NeighborhoodScout. That may not seem great, but it’s a lot better than many major cities. In fact, Boise’s crime rate is 10% below the national average and lower than 38% of cities in the United States. It’s also worth noting crime has been on the decline in Boise for the past decade. No matter what, it’s important to keep in mind that “crime” does not mean “violence”. Only 10% of crimes in Boise are violent. As far as cities go, Boise is one of the safest. So, now that we’ve gotten all the broad strokes out of the way, let’s get to actually finding a place to live. Boise is a typical Pacific Northwest city in that it tends to experience both the lows and highs of each season. The summers can get pretty hot and the winters get pretty cold. Neither are extreme but you’ll definitely want a place with heating and air conditioning. When setting a budget, you should also think about utilities like the average cost of electricity to make sure you can afford your rent. Unless you live Downtown, laundromats are few and far between so you’ll also want a washer/dryer. Apartment hunting can be a bit of a pain. To make sure you get the best deal, you want to make sure to use every resource available. It might not seem like it, but Craigslist can be a pretty solid place to find affordable listings for apartments that you won’t see elsewhere. 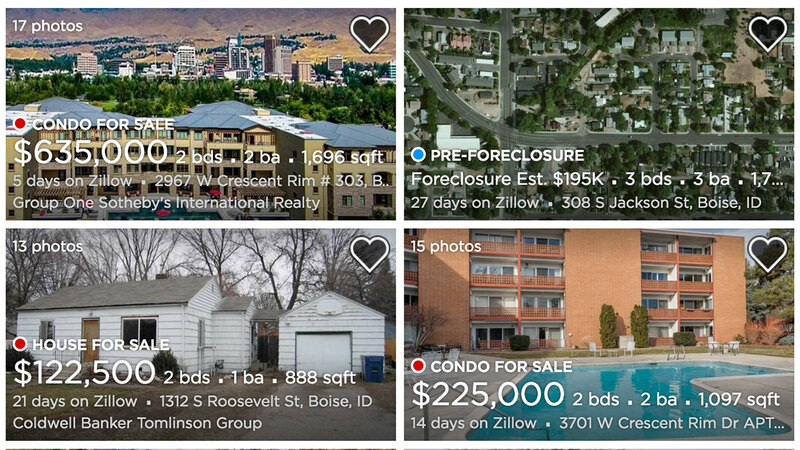 The rental market in Boise isn’t doing amazingly. Between 2017 and 2018, the average rent in Boise has increased by 4.99%, which is pretty substantial compated to that of the average US rent price. And according to the Department of Numbers 2014 study, Boise’s vacancy rate was only 2.22%, which was much lower than the national average of 6.3%. Essentially, the increase in popularity is hurting the rental market, but you should still be able to find some reasonably priced places. There are some super sketchy landlords out there just waiting to take advantage of you, so it’s best to be aware Idaho rental law to avoid landlord issues. If you’re looking to settle down a bit, Boise has some pretty great suburbs. As of 2017, the average home value in Boise was $206,000 which is a 10% increase from the previous year. Keeping that in mind, you’ll want to put extra consideration into where and when you end up looking for a home. The Depot Bench, also known as the “Boise Bench”, is an area of the city located south of Downtown. At an elevation of approximately 60 ft., the area offers an abundance of older, reasonably priced homes. It’s conveniently located near the city’s main hub and offers some of the best schools in the county as well. Meanwhile, the North End contains many of Boise’s historic districts and offers residents plenty of galleries, boutiques and dining options. A recent surge in popularity has home prices rapidly rising, but for many the amenities and architecture are enough to make up for the added cost. Use our moving cost calculator to estimate your moving costs to Boise. You’ll also want to make sure your movers actually have a place to park their truck when it comes time to move into your new place. Below is the City of Boise’s description of how to acquire a residential parking permit. Voter Registration: This should be a major priority whenever you move. You’ve probably heard it all before, but voting is both your civic duty and extremely important. Here is the info on registering to vote in Boise. Driver’s License: And if you’re going to be driving (which, yeah, you probably are here) you’ll need to update your license here. Out-Of-State Vehicle Registration: And if you’re bringing a car with you, this is how you get your plates switched over. Trash & Recycling: You should also read the info here to make sure you know how to get rid of your garbage. Meeting People and Doing Stuff: Making new connections in a new city is extremely tricky, but there are plenty of resources to help the process along a bit. Meetup is a great way to connect with networks of people who have similar interests and r/Boise will keep you up-to-date on what’s going on in the city. You can also check out the Boise reddit guide to moving for more info on moving to the city. It may not seem that exciting at first glance, but Boise has way more to offer than trees and affordable housing. Of course, there’s plenty of hiking, biking, and skiing to do here. RootsRated has a pretty solid rundown of some of the best options. This Is Boise is also an excellent all-round resource for finding interesting stuff to do. Boise, like most cities gaining in popularity, has an eclectic selection of bars to choose from. 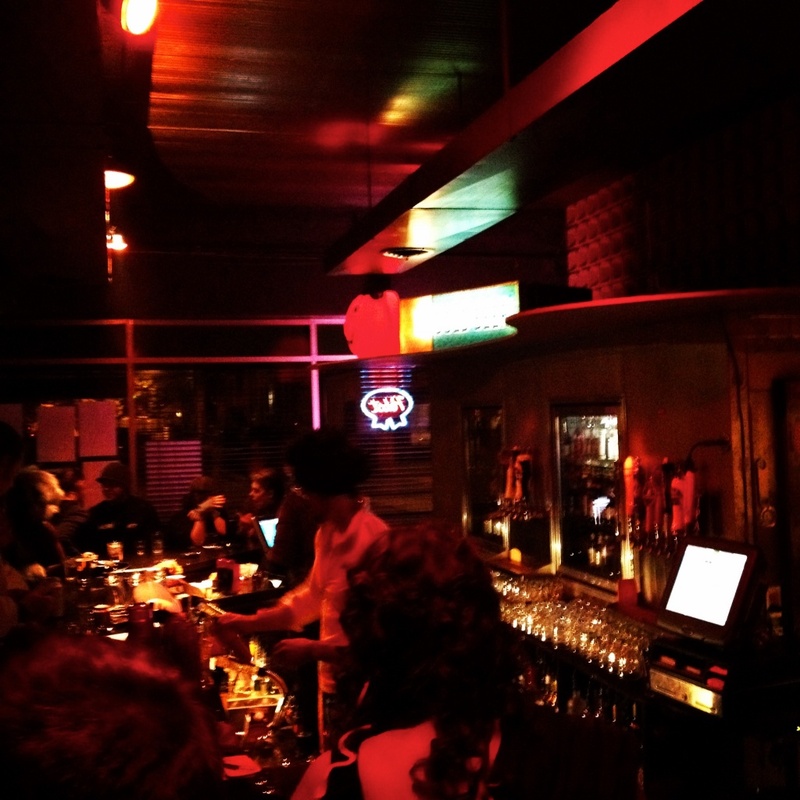 Some local favorites include the Spacebar Arcade, Boise Brewing, and the Neurolux Lounge. It’s also worth noting, Boise has a thriving music scene which is still somewhat under the radar.